If your existing shed has battled against winter storms and is looking a little worse for wear, it will probably need brushing up with some wood preserver. It’s important to revive a shed with treatment and keep it protected from the elements. Shed treatment protects against damaging UV rays, which can cause wood to grey over time. It also protects from bad weather which can cause wood to split and crack if untreated. How often will my shed need treatment? 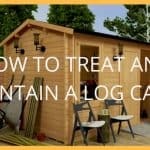 Unless your wooden shed is made from cedar or pressure treated timber it is recommended you should treat it regularly. 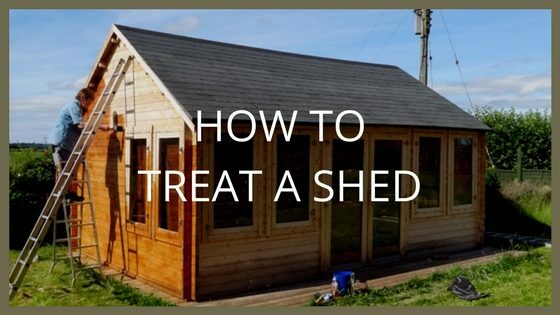 When you first purchase a new shed, if it has not already been treated, apply treatment straight away and continue to apply it every year after. This will help to prolong the life of the shed as well as keeping your items safely stored inside. Treating the external timber with a good quality wood stain or preserve is the best way to keep the shed protected from all kinds of weather damage. Whatever your budget, there are some excellent wood preserver products which are either solvent or oil-based. Ronseal Shed and Fence Preserver is great for making a shed waterproof and protecting it from rot. It can be used on rough, sawn or smooth timbers and will soak deeply into the wood. The application is easy. Simply brush it on or spray using a garden spray system. If you can get the job done in a day then it’s still a cost effective way of doing large areas quickly. You can also use a wood preservative on the inside of your shed for a belt-and-braces wood preserver job. If you are treating the inside of the shed, be sure to allow for good ventilation. Keep the shed’s windows and doors open during the treatment of the shed and drying. 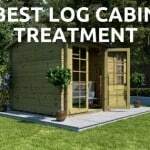 It’s recommended that you should always treat your new shed with a good quality, water resistant wood treatment. Exterior wood oils and decking oils can offer additional protection if used over the top of a wood preservative. Wait for 24 to 48 hours before applying any oil based products over the wood preservative. Exterior wood stains and varnishes will protect sheds, decking and any other type of exterior wood. These usually have a semi-translucent matt finish and can come in all sorts of natural colours. 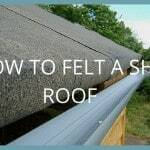 They repel water and have UV filters to help prevent your shed going grey. They also work on hard and soft wood. Best of all, they are really easy to apply with a brush or roller. Wood preserving paints are also much better for sheds than ordinary gloss paints. They are more flexible, resist cracking, peeling and flaking and don’t need a primer or undercoat. 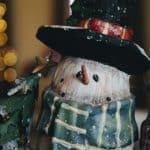 They can also be painted over existing gloss paint or wood stain. Once applied, leave to dry for around four hours, until it delivers an opaque finish. Good quality wood preserving paints will give your garden shed up to eight years of protection! This step can be skipped if you are applying treatment to a brand new shed. On an older shed, after giving it a clean up, apply caulk where needed to cover all the gaps. Making the shed waterproof is important so it doesn’t let in rain or snow. If you’re using a silicon-based caulk, or something similar, you should wait about a day or so after applying the sealant for it to dry. Use sandpaper to chip away at loose or patchy paint that may have been left behind from previous paint jobs. The next step is applying an oil-based primer. As well as providing an extra layer of protection against the elements, the primer makes it easier for you to spread the paint evenly. Once the primer is dry, apply the first coat of paint – in dry conditions, above 5°C. Use a long-nap roller to spread the paint with the grain of the wood and move around the shed covering all the building. After this, it will be ready for the second, and final, coat of paint. Apply it in the same way as the first, making sure the paint is distributed evenly. 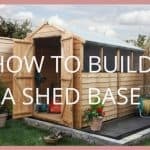 For more information about all things sheds, check out our Advanced Guide to Sheds which covers how to build a shed, how to insulate a shed and so much more!